The Prisoner under the Ice Castle has been revealed. Tuesdays are the favorite day of a Fortnite: Battle Royale player who loves sneak peeks at what’s coming. That’s when developer Epic Games updates the game and fills the game files with new information. But Epic rarely is the one who shows players upcoming skins and events. Dataminers, instead, love going through game files and revealing what’s hidden. One of the most reliable leakers of season seven information, Lucas7yoshi, has found new cosmetics in the v7.30 update game files. He revealed them on his Twitter account. His first reveal is what seems to be the Frozenite pickaxe bundle. 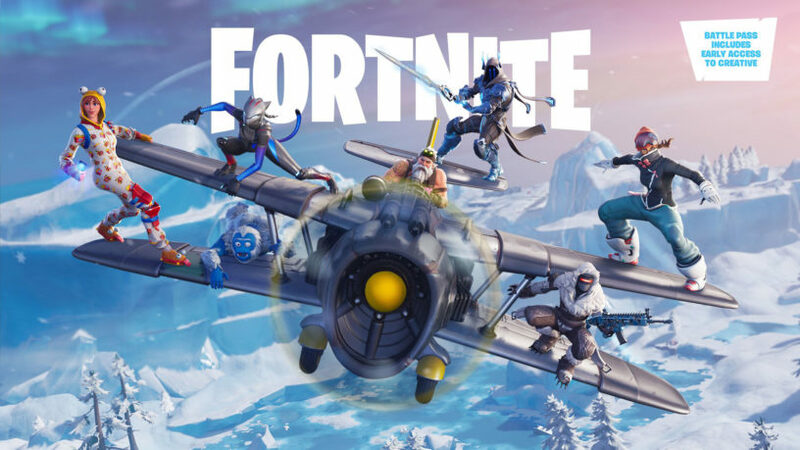 It features a scythe-like pickaxe adorned with skulls, a frozen pickaxe with a heart and an arrow that match with the Frozen Love Ranger, and a frozen glider with wings. Lucas7yoshi also revealed a few outfits that are coming to the game. An interesting one is a humanoid who has a huge lock on his face, chains on his body, and patterns on his arm that resemble those of the figure chained under the Ice Castle in Polar Peak. His name is The Prisoner, which seems fitting. The leaker also revealed a full list of upcoming cosmetics with all their names and rarities. It’s still unknown when or if these cosmetics will be coming to Fortnite: Battle Royale anytime soon, but his latest leaks have been proven correct several times.